A group of tillage farmers claim they have failed, in their bid, to reclaim IFA levies over the past two years. 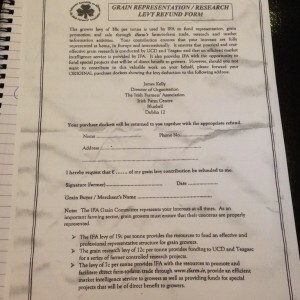 Speaking at a meeting in Athy, organised by Irish Malt Growers, a number of tillage farmers said they had submitted forms to IFA in an attempt to recoup the voluntary levy of 38c/t that is claimed from malting barley. However, the farmers say they have not received any communication back from IFA on the matter and have not been refunded the monies. According to the farmers, over 10 malting barley growers filled out the IFA grain levy refund form to reclaim IFA levies from 2014 and 14 did so in 2015, However, they say they have yet to receive any communication or acknowledgement from IFA on the matter. 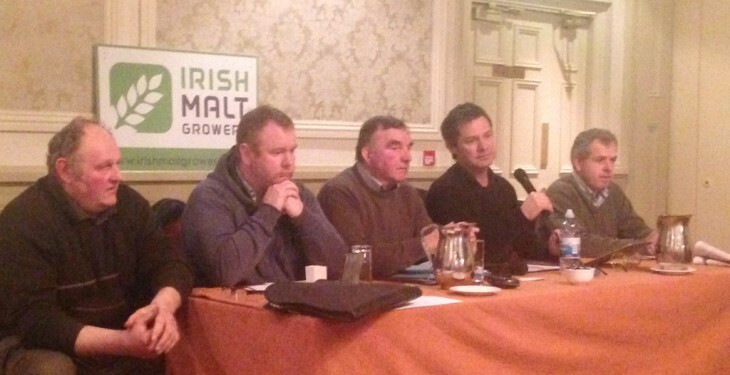 At a meeting of malting barley growers in December in Wexford, growers were told they would have the option to claim back the proportion of the levy which is directed towards the IFA. Speaking at the Wexford meeting, IFA Grain Committee, Chairman Liam Dunne said that this decision was made at the IFA National Council meeting the previous week. “The National Council of IFA, which has been pretty busy lately, had a look at the situation and they agreed that all levies coming to the IFA are voluntary,” he said. The IFA part of it is optional and if people want to claim it back from next harvest on there is no problem with that, he said at the time. The farmers say they cannot opt out of the voluntary levy, as it is part of their contract with Boortmalt that the levy is collected. In a letter seen by Agriland, Boortmalt has replied to farmers who questioned the levy collection, stating that the collection of the levy is part of the Boortmalt contract. The letter goes on to say that farmers who want to claim back their levies can do so through the IFA. The Boortmalt letter also says that to remain as contracted malting barley growers, growers must abide by all the terms and conditions of their contracts. 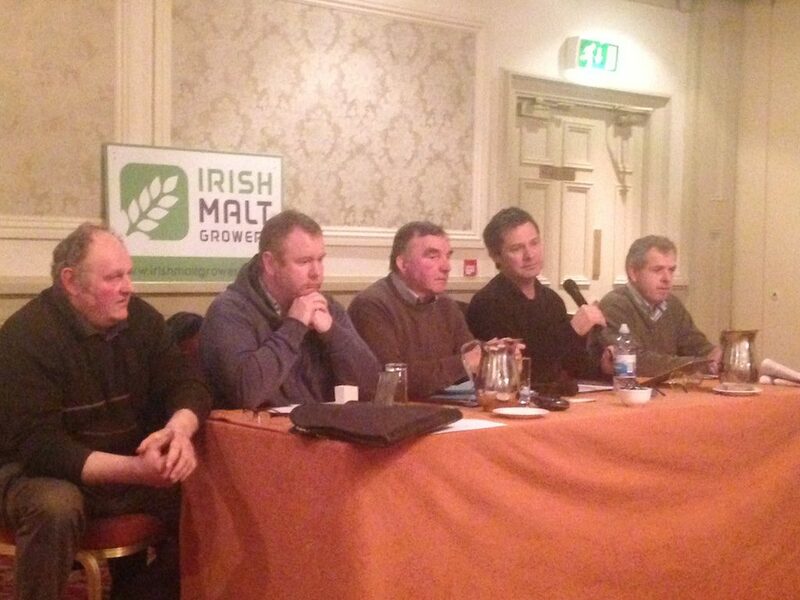 IFA was sent a number of questions in relation to malting barley, including the procedure for reclaiming IFA levies. However, the only clarification it offered was that Mark Browne is the current Chairman of the Malting Barley Committee. Ifarm.ie is an online tool used by IFA to communicate market commentary and prices to farmers. Ifarm.ie is owned by IFA.